From contributions given at our walks and any profit made at our events we are able to make donations to help enhance the lives of needy sighthounds within our area who are waiting for their new homes. 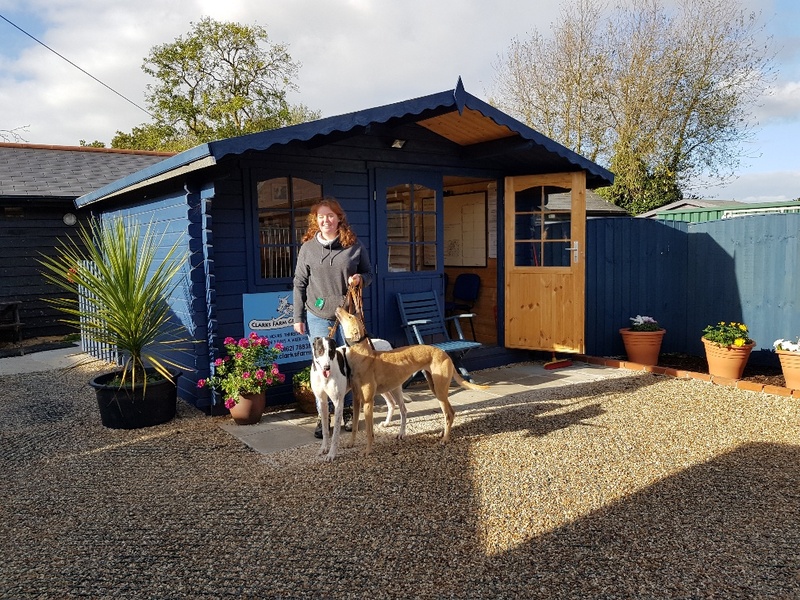 After approaching us for a grant we have recently made a donation to Clarks Farm Greyhound Rescue to help to pay for some special surfacing material for their entrance. This has improved the area no end making it much more attractive and friendly for families, wheelchairs and pushchairs. At a recent visit by Janet Peacock, one of our trustees, we could see that this was a very worthwhile venture for Clarks Farm, improving the surface for not only visitors but also the resident hounds and handlers. We very much hope that this will help Clarks Farm home more greyhounds from their kennels.